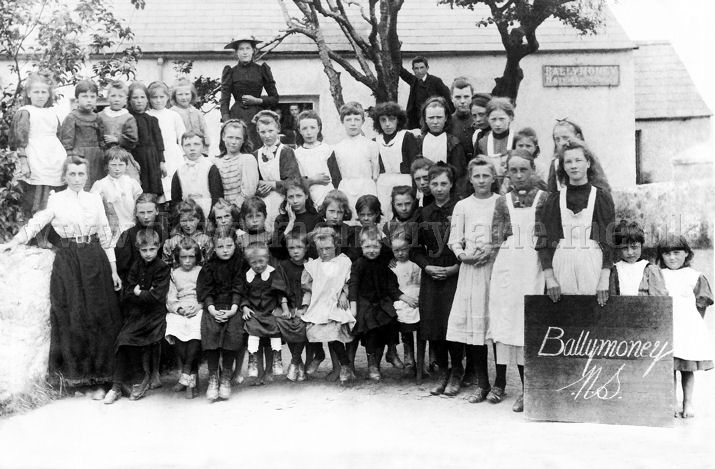 This is Ballymoney National School and today in 1894 all the girls of the school are having their photograph taken. Although one of the boys has managed to sneak into the photo while the other boys are looking out the window. The little girl at the end on the right is in her bare feet, now she is not the only girl there in their bare feet, the girls standing behind the ones seated are. Now back then if your parents both worked the schools would allow the under age children to come in to school as long as they had an older sister in the class. So in this girls school photograph there are definitely three boys as well. Remember boys until they were 5 or even 6 years old wore Dresses! 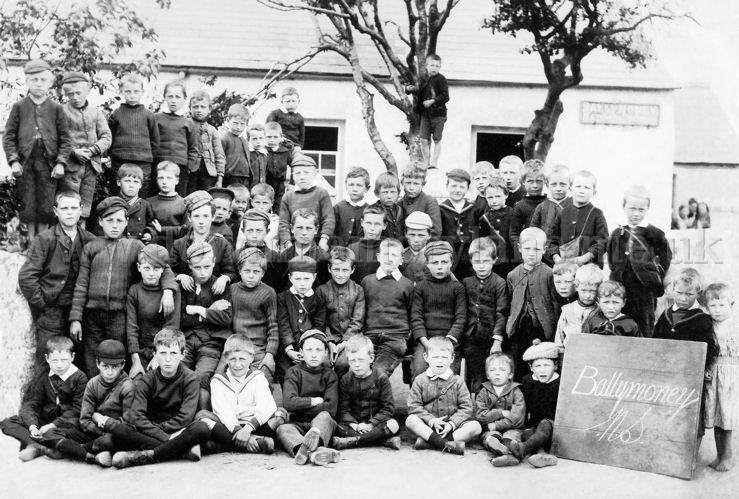 This is Ballymoney National School and today in 1894 it's the turn of the boys of the school to have their photograph taken. The two lads on the wall on the left are barefooted as is the lad up the tree and then over to the right the two little lads on the right at the board. Yes that is a boy at the end, back then boys wore dresses until they were about 5 or 6 years old. In the background to the right you can see some of the school's girls watching the boys getting photographed for it was a great occasion back then.